What is a Sit and Go or (SNG)? One of the best ways to make money playing online poker is by going the route of the sit and go. If you don’t already know what a sit and go tournament is, it is simply an online poker game in which you buy in along with a small field of players and play a little tournament. I guess you could say a sit and go is much like your basic home game tournament where you and your buddies buy in for a friendly and quick game of poker. This Sit and Go Tournament Strategy Section aims to help you better understand SNGs as well as give you the knowledge of how to go out and beat SNGs within themselves. By “within themselves” I mean just beating the structure or game. Basically, being able to make money just by playing the game, not counting bonuses and incentives that the Online Poker Rooms offer. Sit and go tournaments are becoming increasingly popular and are a nice change of pace from the daily grind of playing ring games. For a skilled player, they can also be an exciting and profitable way for you to increase your bankroll. Excitement further increases when rooms such as Absolute Poker or Fulltilt Poker have tournament leader boards that make for a fun and competitive environment. You are not going to become an expert sit and go player overnight. Mastering SNGs takes hundreds, maybe even thousands of hours playing. When I started playing SNGs in 2004 I had mixed results, I soon began to show profits, and over time my results continued to improve to the point where I consistently achieve high win rates. If you have a solid strategic foundation of the variation of poker you’re playing, you should be able to become a winning SNG player, but to accomplish this, there are many adjustments you must make based on the structure of the sit and go. The reason many players fail to become successful at multi-table and sitngo tournaments is because they neglect to make the necessary strategic adjustments to their game. Our main focus will be single table, No-Limit SitnGo’s. If you want to play limit holdem you might as well be playing cash games where you can rack of comp, or VIP points while playing. The Sit and Go strategies discussed will be those used by winning SNG players including myself and have been battle tested and proven to be successful. Many Sit and Go players are already familiar with what I call “standard sit and go strategy”. This strategy is that one should play extremely tight in the beginning and then as the tourney progresses and players are eliminated, you become more and more aggressive. I firmly believe this to be the best overall strategy for the beginning to intermediate player in terms allowing you to consistently cash in. If you ran an experiment, you could find that you could buy in to a 9 person sit and go possible up to the $50 buy in margin, not play one hand, and end up finishing in the top 4 or 5 players pretty consistently. In one instance, I saw a guy not play at all and finish 3rd..in the money! Why is this? Because most players don’t know how to play winning poker and get knocked out playing hands they felt like they “had to play.” Therefore, it’s a great idea to play tight in the beginning and be aggressive for the money towards the end. In many ways, your approach to sit and gos should parallel your approach to limit poker cash games. By this I mean that in order to be successful, you must set goals for yourself and exercise proper bankroll management. It is very important to remain disciplined in your approach and understand that luck and fluctuation plays as much a roll in sit and go’s as it does in other form of poker. You will have your good runs and your bad runs, but over time, two important statistics will begin to surface. One is the percentage of the time you finish in the money (ITM) and the other is your return on investment (ROI). These are the two most important indicators of how successfully you are playing sit and go’s. How much of a bankroll do I need? Like many of the answers in poker, “it depends”. When playing limit poker, players generally like to have 250-300 big bets before moving up in limits. Then, if they go on a bad run, they move back down in limits until they have rebuilt their bankroll and are ready to try again. The same general principles apply to SNG’s. You generally want to have a specific number of buy-ins before moving up limits. Then, if you go on a cold run, drop back down to the previous limit and rebuild. There is no shame in moving down a limit. In fact, it shows a great deal of self-discipline in addition to proper bankroll management. 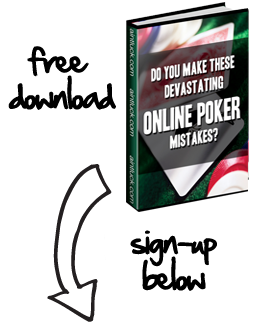 Within the world of online poker you can also be comforted in the fact that moving down in limits doesn’t mean you wasted your time playing those other games. For one, you got invaluable experience. Two, the Online Poker Rooms award players for consistent play. Will you have enough of a cushion if you place out of the money in several consecutive tournaments? Do you have enough to be comfortable and not be playing with “scared money”? For me, this was reason enough for requiring myself to have 100 buy-ins before playing in the $50 and $100 games. The first few times I played at the $100 limit, it was a strange feeling to say the least and if I would not have had such a large reserve, it could have affected me mentally and changed the way I played. 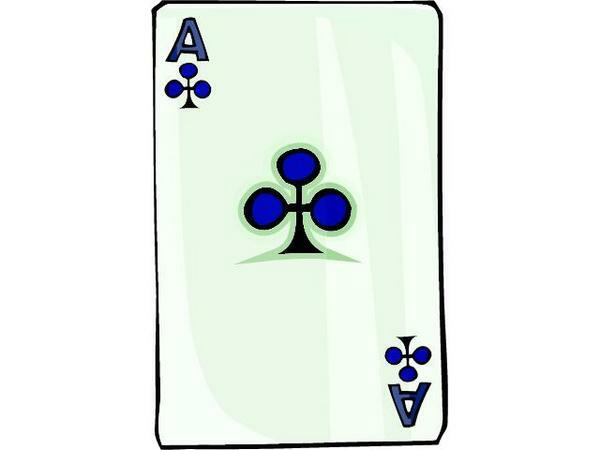 When playing the $5-$30 games, most players like to have between 20 and 30 buy-ins. This will usually be enough when playing at these limits. However, as you move up to the $50, $100, or even $200 games, I would suggest you increase the number of buy-ins in your bankroll to at least 50 and preferably to 100. I personally required myself to have 25 buy-ins at the $5-$30 levels, then 50 at the $50 level, and 100 buy-ins at the $100 and $200 limits. What are the highest win-rates I can expect to achieve in Sit and Go’s? It is my opinion that your ITM rate will vary based on which poker sites you are playing. When playing at Carbon Poker, you start with only 1000 chips. The blinds increase after every 10 hands played so the tourneys typically last about forty-five minutes. In comparison, PokerStars or Absolute Poker starts you off with 1500 chips and the blinds increase at a slower pace. This allows for a longer tourney (usually about an hour and fifteen minutes), and of course, these conditions favor the more skilled players. These statistics represent the expected win-rates of an expert player while playing SNG’s at Pokerstars. The reason I use Pokerstars for this example, is due to the popularity of their site and because their SNG format is similar to many of the other online poker rooms. My personal experience has seen me place 1st in up to six consecutive SNG’s when things were running well, but finish out of the money twelve consecutive times when things were going terrible. When I was winning, I felt invincible, as though there were not a better poker player on the face of the earth. However, when I was losing, I felt like my game was weak and that I was the biggest fish at the table. After analyzing my play, I realized that my game was fine and that I was simply experiencing a bad run. The most important thing to realize is that you will have your good and bad runs, but it is your consistently solid play that will make you a winning player over the long term.